Home › getting older › That Old Guy? He’s Retired Now, Right? I’m not a big Jay Leno fan but I was infuriated by chief NY Times critic, Alessandra Stanley’s, insultingly dismissive remarks about Leno’s farewell show featured in the Feb. 8 edition of The Times. When Stanley writes that Leno’s “last hurrah became a dreaded rite of passage, an acting out of people’s deepest fears about their own obsolescence,” I sense that Ms. Stanley, age 58, is projecting her own fear of aging and retiring onto Leno’s departure from NBC. She ends the article with a cost benefit analysis of death versus retirement: “A farewell tribute on television has its advantages: The honoree gets to hear the eulogies and witness a preview of the funeral. But there is also a cost: Mr. Leno will be around the next day to see how quickly the mourners mop their tears and the cortege moves on.” That’s harsh! Of course, retirement can be a bittersweet occasion, especially if the retiree dwells more on past glories than on future possibilities. But today, it doesn’t go without saying that that when someone retires, he has put the best years of his life behind him and has taken a major step on the dismal path to an undignified death! Au contraire. Today’s 60 somethings often embrace retirement as an opportunity to use their time in new and creative ways. 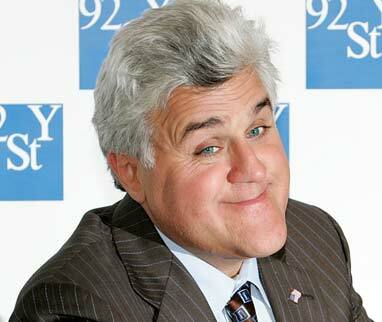 Maybe Leno will take his stand-up act to Las Vegas. Maybe he will try out his acting talents on stage. Maybe he’ll parlay his interest in cars into some sort of business. Maybe he’ll make a contribution to world peace! Now’s his chance. I’ll never go to hear Leno or see him perform, but I am sure he has the wherewithal to “recover” from his retirement as host of “The Tonight Show” and that he’ll go on to live out many more productive years. I am absolutely sure that Leno has always known that crowds are fickle, that times and tastes change, that “new” is the driving force in our 21st century culture. But I’m equally sure that Leno can appreciate and savor his past achievements while figuring out new ways to contribute, learn, and grow. That’s what grownups do. So why characterize retirement tributes- Leno’s or anyone else’s- as “a dreaded rite of passage.”? Get with it, Stanley. There’s still time (though not so much) to figure out how to re-frame your own retirement into a celebration of reinvention, resurgence, and renewal, as well as a celebration of past performance. Great response to an article that sounds (as you said) more about the reporter than the subject. You’re commentary is the stuff of high spirits, and infinite chances for developing new ways of experiencing one’s days. It’s all in the mind (and body) of the individual.